What if you could impact not only the health of your teeth and gums but also your bones, skin, immune system, mood, and much more with something as simple as the food on your plate? With nutrition therapy, you can! Targeted, individualized nutrition support is an excellent tool for anyone interested in taking an active role in their health and supporting their body through whole foods and nutritional supplements. We believe that healthy teeth and healthy bodies start with the food on your plate. By making healthy dietary decisions, you can support your long-term and short-term health and fitness goals. Good food supports your overall well-being, energy and mood, and can minimize existing symptoms. Nutrition is an excellent adjunct to approaching and addressing health concerns (or minimizing risk of future health issues) and we encourage you to add whole foods and targeted nutrition recommendations to your health journey! Jessie Black NC, our on-site certified nutritionist, has a background in integrative nutrition and tailors her recommendations to every individual. A graduate of Bauman College's nutrition program, she is in the process of completing her M.S. in Nutrition and Integrative Health. 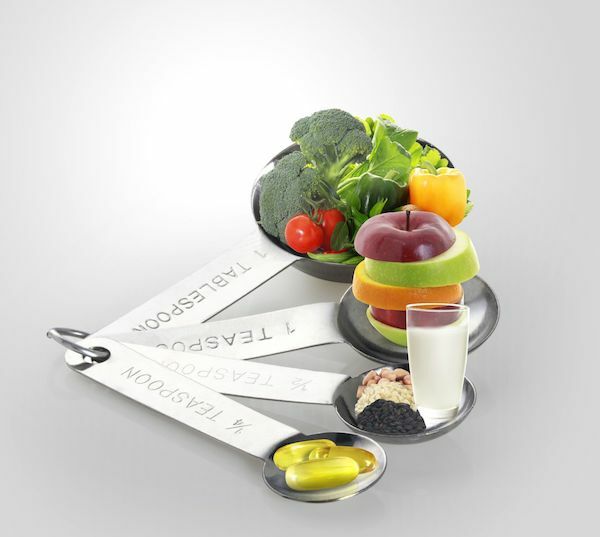 We believe that there is no single dietary approach that is ideal for every person. Rather, your individual and cultural background, medical history, personal health goals, and dietary preferences are ESSENTIAL to crafting the best plan for you. Our needs and preferences change over time, so we want to give you the tools, education, and resources to create long-lasting and sustainable habits that support your own unique needs. • Gain the confidence to navigate the dietary fads and shopping aisle ads with ease! • Discover how to make delicious and healthy meals that satisfy your tastebuds - no need to choose between healthy and happy! • Improved energy, mood, body image, and health! We offer a short complementary nutrition consultation for any patients interested in learning more about nutrition. This allows us to learn about your individual goals and assess how nutrition therapy can support you in reaching them - give our office a call or email to schedule your complementary consult! You already have a great deal of experience and knowledge about food (even if you don't think so yet!) - we are here to fill in the gaps and support your nutritional journey! With your own goals and needs in mind, Jessie will work with you to create a customized plan that offers you the support you need to reach your objectives. Our goal is not to give you a meal plan for the day or the week - -Our goal is to support you with the confidence and resources to prepare and select nourishing meals for the rest of your life! We are passionate and excited about nutrition and the healing benefits of natural and whole foods. Whether or not Nutrition Therapy is the next step for you, we strongly encourage you to sign up for our office's Nutrition Workshop notification list. Workshop topics are different every time and have included group detox programs, cooking demonstrations, shopping tips, nutritional approaches to GERD and autoimmunity, and dietary support for bone and teeth health. Delicious, organic, seasonal, and nutritious food is included! For patients seeking nutritional support in preparing for amalgam removal, we offer nutrition therapy and an office mercury detoxification protocol.